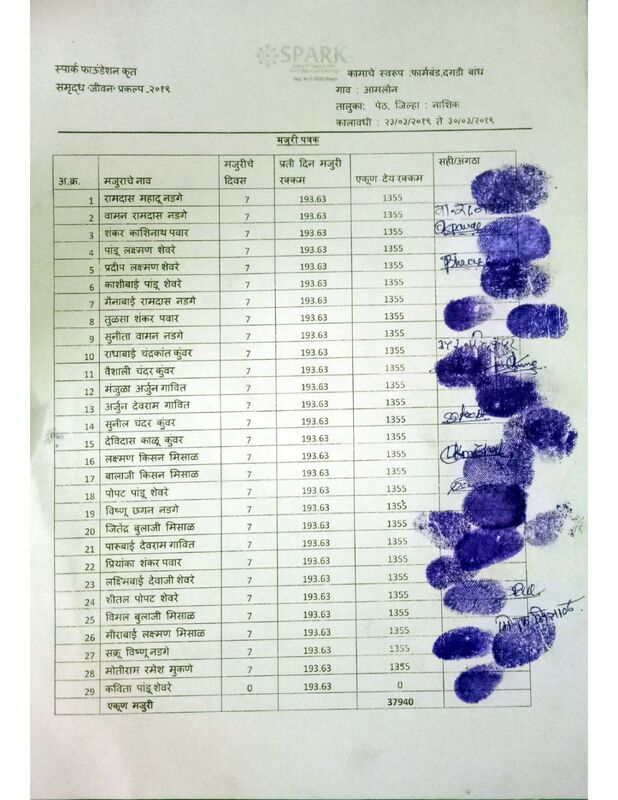 SPARK Foundation - Society for People’s Action, Reconciliation and Knowledge is a society registered under the society’s act – 1950 (Reg No - 10351/Thane). To begin with, SPARK foundation is committed towards working in the water conservation domain. It is a foundation started by friends, who are working professionals pursuing different careers across varied industries, but are bind together with the thought of creating a change in our social surroundings, however small. 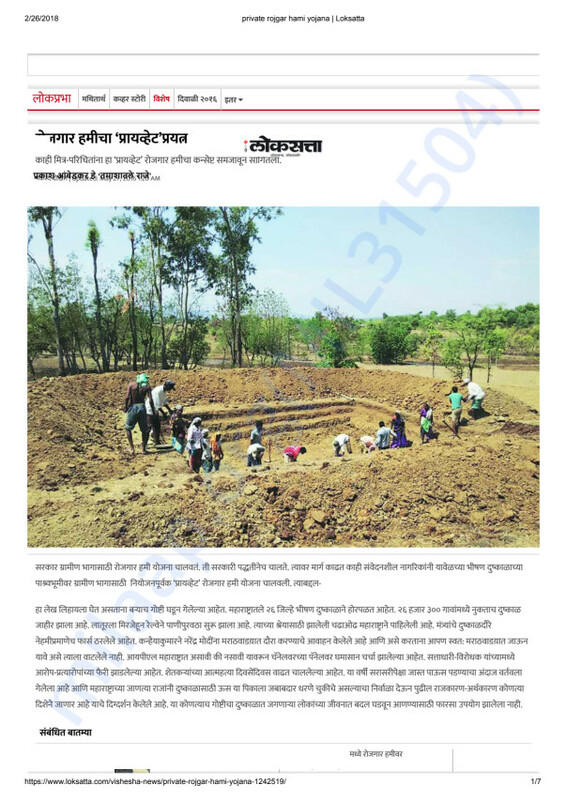 This year Government of Maharashtra has already declared 'Drought' in 151 blocks in November-2018. 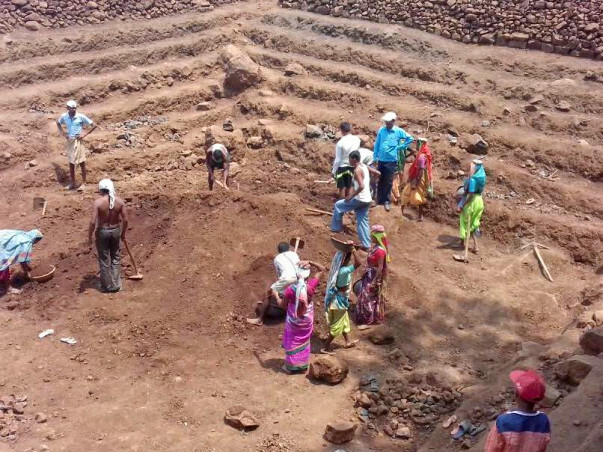 Consecutive droughts in the last few years and water scarcity have made life in rural Maharashtra, particularly of the farming community miserable. The situation is alarming so much that in many villages across the state, the water is distributed through tankers under police protection. Scarcity of water results in many livelihood problems and it hampers village culture and impacts the local economy on a large scale. As a result, because of no livelihood and earning opportunities caused due to water scarcity for domestic needs, rural masses migrate to nearby cities in large numbers leading to urbanization. These are not just migrants but socio-ecological refugees. This water scarcity is experienced majorly due to uncontrolled, unregulated extraction of ground water which results in ground water depletion in many pockets of the state. 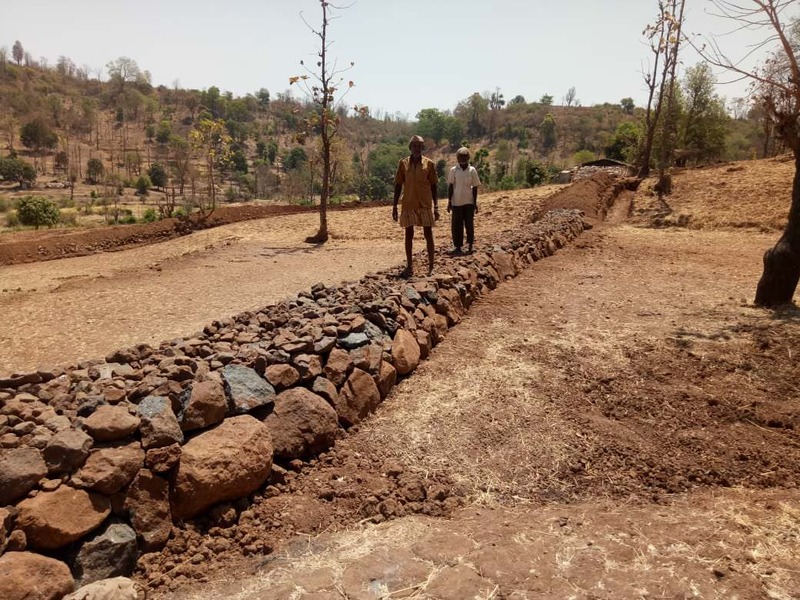 If villages become self-sufficient in water conservation (which was the case before the Green Revolution) many problems can be resolved in due course of time. The most efficient and cost-effective technology for recharging ground water and enriching ground water stock is a farm pond or a village pond or a percolation pond. Farm ponds are conceived as an important strategy for ground water recharge through percolation. The advantage of this technology is that the water is available throughout the year even in water stressed conditions. Even though Government recognized the importance of this technology a few years back and formulated many policies to accelerate construction of Farm ponds, its implementation in arid and semi-arid areas is an area of concern. This is where civil society organizations like us have a major role to play. Our main target areas for all our projects are remote villages where government organizations & machinery fail to reach. This forms the basic criteria when we conduct our preliminary surveys. After the surveys, we conduct meetings in such villages in order to perform feasibility study and take villagers in confidence. 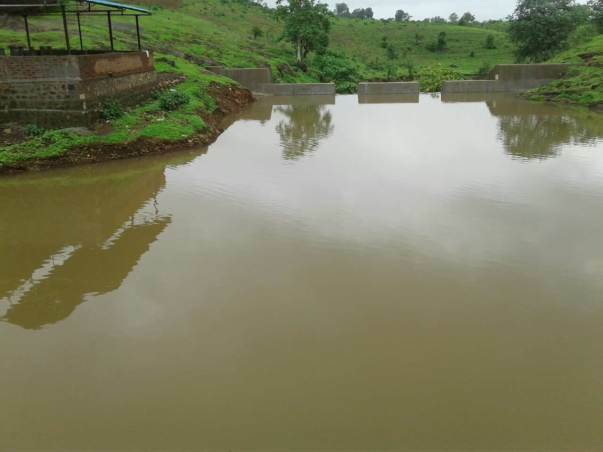 We aim to create sustainable water resources (Farm ponds, wells or villages ponds) in the rural areas of Maharashtra, where there is a scarcity of water. 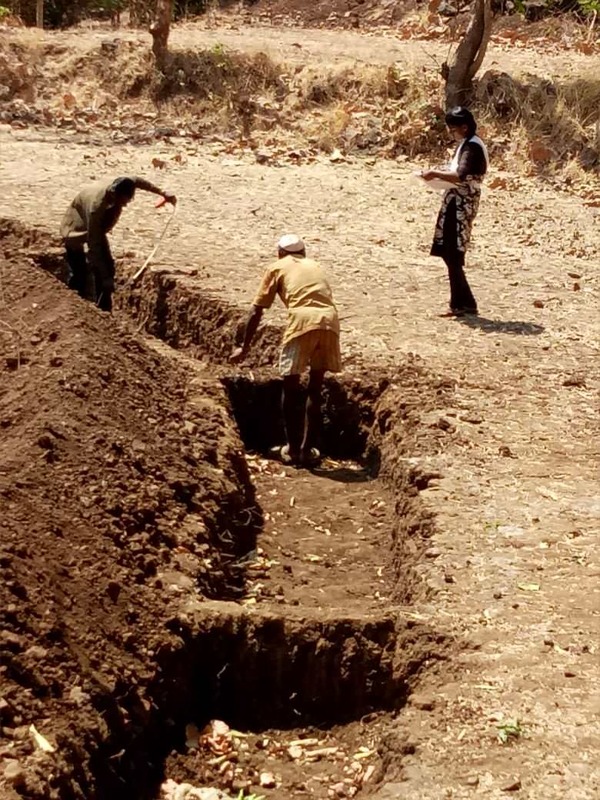 We execute our projects during the peak of summer period (April-May) when water levels are at the lowest and the local people are looking for work. 1. It provides the local people with employment during the summer season when there is hardly any work generated through ‘MNREGA’ scheme. 2. 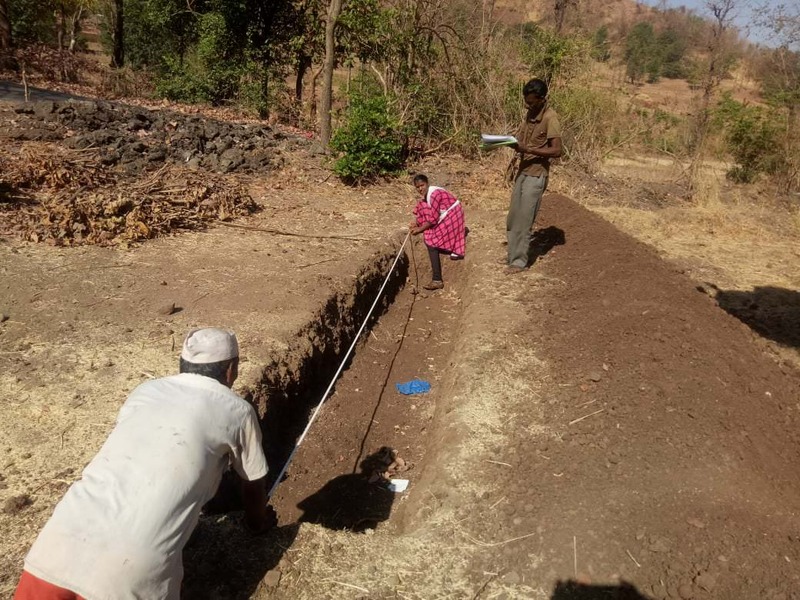 It creates a sustainable water resource for the villager’s farms and increases the groundwater level once the monsoon rains start filling the ponds/wells. This allows them to grow 'Rabbi' crops as well. 3. Since manual labor, instead of heavy machinery like JCBs are employed for constructing the farm ponds, there is less erosion of soil. The quality of soil is not depleted due to this and it retains its natural richness. 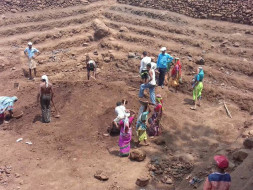 As a result of efficient and error-free implementation of the above projects in 2016,2017 & 2018 (details can be obtained from our Website) with technically accurate design and highly professional approach, even people who were previously not ready to work under Government’s MNREGA have now shown keen interest to work under SPARK’s work model. Project is likely to commence by 05-April-2019. *Note* : 80G (Tax exemption) is obtained after 3 years of establishment.We will be completing 3 years in 2020.Hence we will not be able to provide 80G (Tax exemption) certificate for this year's donations. 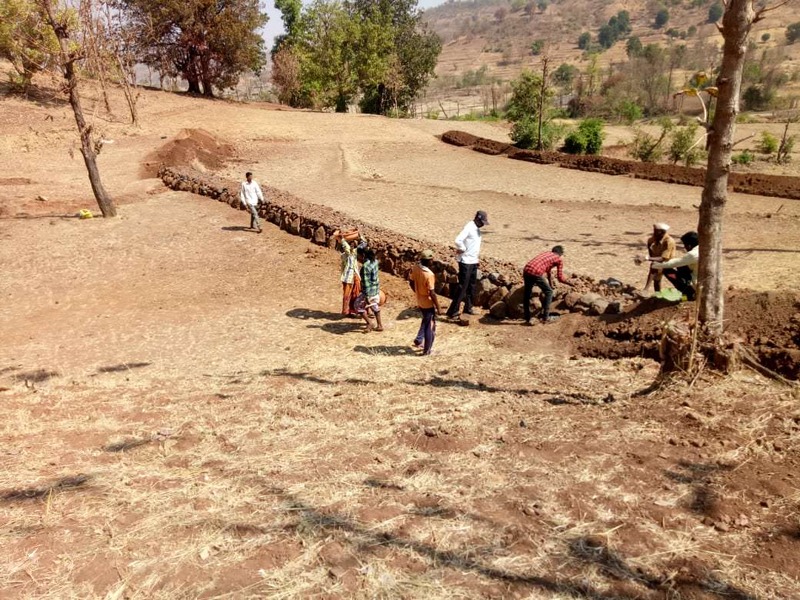 Dear Supporters,Greetings from SPARK Foundation.We wish to update you that the first phase of Water Conservation Project-2019 has been completed. All the details have been tabulated below and photos of work done/payment sheet has been attached. It's always a great joy to see our plans come to fruition. We experienced such a joy a few days back and since it's a result of our collective effort and contribution, we are happy to share it with you. This is to inform you that our interview will be broadcast by All India Radio-New Delhi station on Samvadhita channel 1044KHz on 12th-June-2018 at 10:00 pm.This is about SPARK's last three years work in water conservation. I hope this becomes a widespread movement in the future and helps uplifting the socio-economic condition of farmers in all drought prone areas - in and beyond Maharashtra. Kudos to the team.